Local search optimization is a core service New England Local Marketing offers as its key to getting your local business found by potential buyers searching online for your services or products. 82% of people looking for a local business or service provider search online. People are relying less on the Yellow Pages phone book and print media but instead clicking a mouse. The fact is, if your business isn’t found online when somebody searches for your product or service then you don’t exist and your competitor will get their business instead. When discussing search engines there are only three to target: Google, Yahoo and Bing. Because Google has over 65% of search traffic in North America and 85% worldwide, our focus is on achieving first page rankings for Google search. But the work we do for Google also benefits your web site rankings in Yahoo and Bing local search results. The goal of optimizing for local search is to get your web site listed on the first page of results for your primary search terms. These are terms your target prospects would use when performing an online search for your service or product. For local search Google provides 3 primary ways of achieving this goal: Local Business Results (LBR), organic search results, and paid advertising (Adwords). 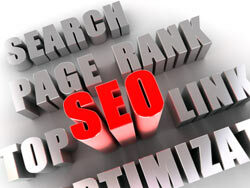 Our local search service covers LBR and organic results. For more on paid advertising see our online advertising service here. At the moment Google lists just seven businesses it matches for a local search term on the first page and the reminder will be on subsequent pages. Local search optimization for LBR focuses on getting a local business to appear in the first seven positions. Searchers rarely click through to the more results page of LBR results. The goal of local search optimization is to get your business listed on the first page of organic results for your primary search terms with your geographic modifier such as your city, zip or state. For a free consultation about how our Local Search Optimization service can help your small business, please call us today at (508) 479 2840 or click on the button below to complete a request for more information.